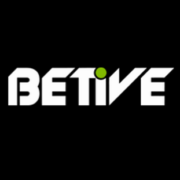 Betive Casino Review - The Top Site Operated by Bethard Group in 2018? Let the excitment take over! 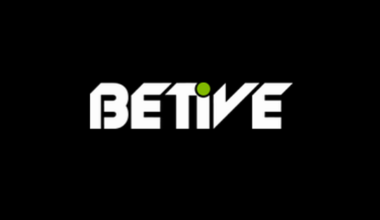 Being the youngest offspring from the established Bethard Group, Betive had to prove that it is up to the challenge to become just as much a players favorite gaming hangout as its sister sites when it was launched in 2016. And it did well in the fast moving online casino world, offering a simple, clear and easy-to-use website for desktop, mobile or tablet that includes Live Casino, Sportsbook and the Casino with a good game choice from currently seven mainstream and upcoming providers. Bethard equipped it as well with a MGA Malta license ensuring maximum players protection as well as a good range of currencies, site languages and banking methods. The mobile optimized website is working perfectly on all devices across all OS platforms. Spins will be instantly credited after the account has been activated. Wagering requirement is 50x FS winnings with the same bet and game restrictions as other bonuses. Betive does not state a maximum cashout from the Free Spins but if we would go along with the offerings of their sister sites then it would be €500, check with support for exact limits. In order to withdraw any winnings from the no-deposit Free Spins a player has to deposit minimum €30 and wager this once on the allowed bonus games. Attention: the first deposit bonus will be automatically added, contact support to have it removed if you want to withdraw the no-deposit winnings. Failure to do that will result in having to wager the bonus 50x according to the T&C’s for the first deposit. All Free Spins are on Aloha! Cluster Pays, Attraction, Lights, Pyramid: Quest for Immortality, Starburst. The 100 Free Spins for the first deposit are added in batches of 10FS starting with the first after the deposit and the reminder over the next nine days at 15:00CET. The spins for the third deposit are all instantly added. Wagering requirement is 50x FS winnings within 24 hours with the same bet and game restrictions as other bonuses. The Bethard Group is known to have regular and frequent promotions as well as sending out personalized offers to loyal players. The promotion page at Betive is listing all current offers available to their players. Monday Good Morning & Good Night Bonus – deposit during selected hours of the morning or evening for a 20% reload bonus. At present, Betive does not offer a loyalty program for comp points or rewards, neither do we have any information on a VIP program. What we do know is that eligible players will be personally contacted by a VIP host. Any new or upcoming online casino has to offer nowadays a good mixture of entertaining slots, tables and a Live Casino. 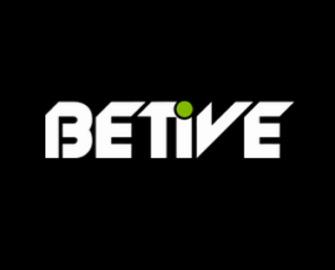 Betive does not disappoint here with mainstream providers such as Netent, Microgaming, iSoftBet, NextGen and some newer ones like Elk Studios and Quickspin. Their Live Casino tables are powered by Evolution Gaming. Using the Bethard platform allows Betive to offer a good variety of currencies and payment methods. Players can register their accounts in AUD, CAD, CHF, EUR, NOK, SEK and USD and use debit/credit cards, Neteller, Skrill, Instant Banking, Trustly, Paysafe Card, Zimpler and Bank Transfer for their deposits and withdrawals. The website is in English, Finnish, German, Norwegian, Swedish languages and customer support provided 24/7 via Email, Phone or Live Chat. Only players aged minimum 18 years are allowed to register at Betive ensuring there are no underage gamblers admitted. Betive offers a self-set RG console that give players the opportunity to set daily, weekly and monthly limits for deposit, losses, session length and wagering amount. Alternatively, players can activate a “take a break” period for up to 6 weeks or execute a permanent self exclusion of minimum 6 months. Betive is a great addition to their first brand Bethard as it focuses very much on mobile play with a clear and crisp website that is easy to navigate. With their complete offering of Sports and Casino they are appealing to a wide range of betting and gaming enthusiasts. Thanks to the above and their MGA license I would surely recommend them.